Syria's defense minister has slammed what he called the "illegitimate" U.S. military presence in his country, vowing that Syria has a right to self-defense. 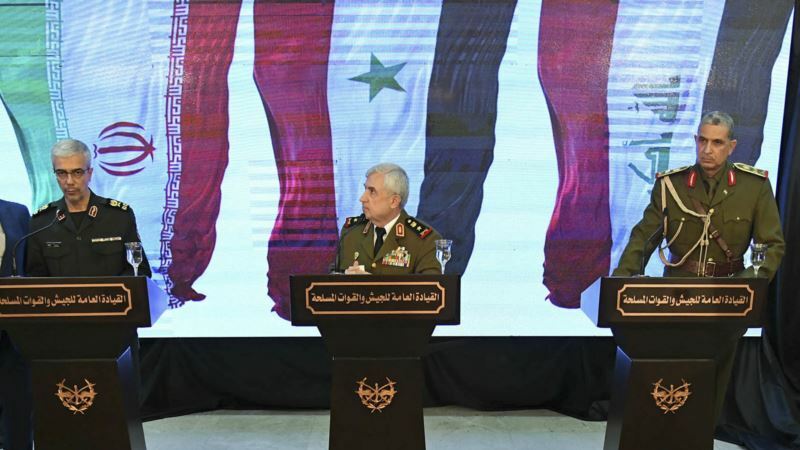 Gen. Ali Ayoub spoke on Monday in the capital, Damascus, during a rare joint news conference with visiting Iranian and Iraqi army commanders. The U.S. currently has about 2,000 troops in eastern Syria and is expected to withdraw hundreds of them in the coming months. The meeting illustrates the strong alliance between Iran, Iraq and Syria at a time when the U.S. is seeking to isolate and increase sanctions against Iran and its regional allies. The Iraqi army commander, Gen. Osman Ghanemi, also said a border crossing between Syria and Iraq is to be opened in the coming days.